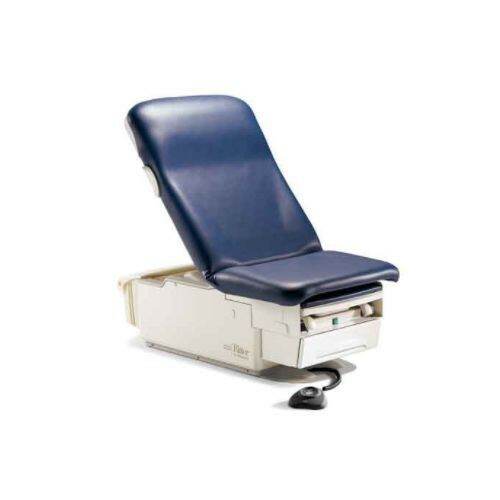 Ritter 223 Barrier-Free Power Exam Table Midmark Power exam table with heated drawers, remote control and a receptacle. Meets many medical standards and has foot control for lifting and lowering as needed. Accessibility in an exam chair comes down to many features. Updated and available options have pushed exam chairs into its current state of technology, helping patients to be able to get on the table using as many tools as possible. The Ritter 223 Barrier-Free® Power Exam Table takes all the discomfort away from the experience by offering as many features as possible to make it easier to sit on the exam table. The Ritter 223 begins with a height adjustment that can go as low as 18 inches and as high as 37 inches. 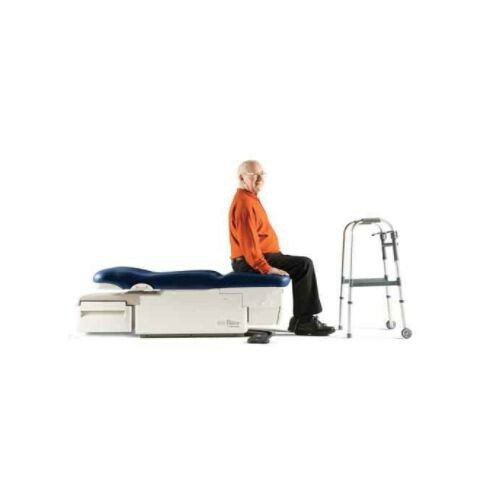 This offers patients of any height or ability the chance to sit on the exam table without any hitches. This seemingly small bit of technology can shave minutes of a patient's visit, which cuts down the wait time for other patients. Along with the power height feature, a power back allows medical professionals the chance to put the patient in an optimal position for examination. Once the patient is seated, a pull out footrest can extend the length of the Ritter to 76.7 inches. Any patient, at just about any height, will be able to sit or lie down when it's fully extended. Other Standard Features include a hidden paper roller, stirrups, a drawer heater and an electrical receptacle. The roller is able to hold widths from 3-21.5 inches for use in any situation. A drawer heater up to 35 watts will keep your equipment warm, and a hospital-grade, built-in electrical receptacle is available to immediately discharge of medical items when needed. 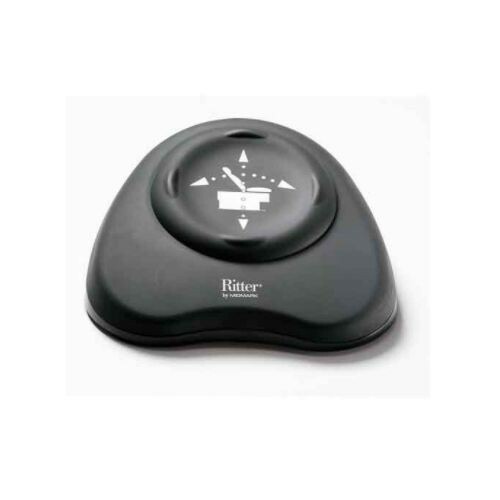 The Ritter 223 has a one piece top that is soft, functional and can be stored anywhere in the office when it's not being used. The tops easily support the same weight as the table, 400 pounds, that it attaches to and is approximately 40 percent larger than standard tables in the industry. The top upholstery is available in eight color choices. It's easy to clean and can be removed as needed without the need for any tools.